DIRK MEYER, managing director of Corobrik, says in South Africa, we have unique opportunities and it is up to each of us to look deep and maximise them. In the current economy, it is easy to become despondent, but I believe it is up to each one of us to look at the positive opportunities. Here at Corobrik we are confident that we will grow from strength to strength." A natural leader and team player, Meyer has come up against plenty of challenges during the 34 years that he has been with South Africa's leading clay brick producer. However, his clear focus, absolute determination and persistence have brought him through. "I guess that I face challenges every day. That is what senior executive life is about. Solving them without losing focus on the long-term growth of the business leads to sustained success. As my management team will tell you, there are constant setbacks in any plan. It is then that one needs to regroup, refocus and continue," he says. 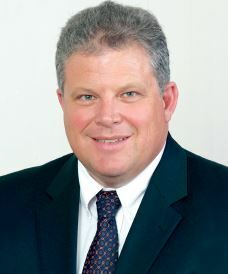 Meyer joined Corobrik as a management trainee in 1984, having completed a Diploma in Heavy Clay Technology at the now Durban University of Technology. He went on to study through Unisa. The first of many career highlights was being awarded his Master of Business Leadership degree. Others were being appointed operations director and, finally, managing director of Corobrik. Looking back, he says a number of key people played a huge role in the development of his career. "During the first ten years of my career, I travelled around extensively -- through different functions within the company. I worked in KwaZulu-Natal, the Western Cape and Gauteng. During this period, I was privileged to have had many mentors who have guided and influenced me along my career path," he remembers. One that readily comes to mind is Chris Dickenson who was Corobrik's marketing director when Meyer worked within the marketing department in Edenvale during the late 1980's. When Meyer was promoted to managing director, Chris continued as his wing man in the position of sales director. Another big influence was Peter du Trevou, past managing director and present chairman of Corobrik. "His immense knowledge and support have been invaluable," Meyer points out. Now at the helm of the company, Meyer says he works hard to ensure that he knows precisely what is happening in the marketplace as well as within the company. "I constantly talk to our people about what is happening within the company. This is very valuable for a manager who is committed to giving a business direction and then playing the role of facilitator to enable the various functional departments to reach their goals," he points out. Meyer says that it is a particularly exciting time to be managing director of Corobrik. The company is currently in "an investment phase" and is upgrading facilities to keep it at the cutting edge of global technology. "It is our objective to provide the South African building industry and the consumer with the most sustainable building solutions. Over the next five years, we have an ongoing capitalisation programme for our factories which, together with key acquisitions, will ensure exciting growth in the business." He is also confident that Corobrik is closely aligned with important trends within its market place that will play an important role in its success. "The fact that our product is inherently sustainable and durable for thousands of years has created an opportunity for us at a time when people are reverting to the real things. People are now faced with coping with the damage consumerism has inflicted on the planet. If one has a sustainable offering like Corobrik, you end up contributing to the future of the planet," he says. However, it is not numbers but shaping careers within the organisation he has served that is most rewarding for Meyer. "One of my greatest roles is to prepare successors for senior management. We are grooming and preparing young people who in due course will succeed us," he says. When he is not at the boardroom table or behind his desk, Meyer also makes time to relax and keep fit. He enjoys cycling, both on and off-road. He is also interested in recreational aviation and, over weekends, enjoys camping and boating with his family.